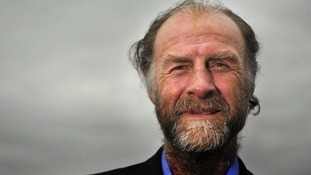 The last time Sir Ranulph Fiennes crossed the Antarctic he and his partner Dr Mike Stroud hauled sledges weighing more than their own body weights. Next time he will be sitting in a tracked vehicle equipped with all the latest kit - including radar to spot crevasses. (Though you have to read to the end of the press release to discover that). Sounds like a doddle? Well no. Because they are going in the Antarctic winter. And that's tough. In fact, no-one has even attempted it before. Simply because temperatures can drop to -90C. Even fuel starts to freeze at that temperature. I've been some of the way towards the South Pole - not nearly as far South as Fiennes is. And it is cold - even though I went in the summer. So, respect. But travelling by snow-cat doesn't have the romance of sledge-hauling. The Antarctic has been crossed by snow-cat, by an expedition in 1957-58 led by Sir Vivian Fuchs. But that was in the summer. What a difference a season makes.